I seem to be going through a mini obsession with floral baking. 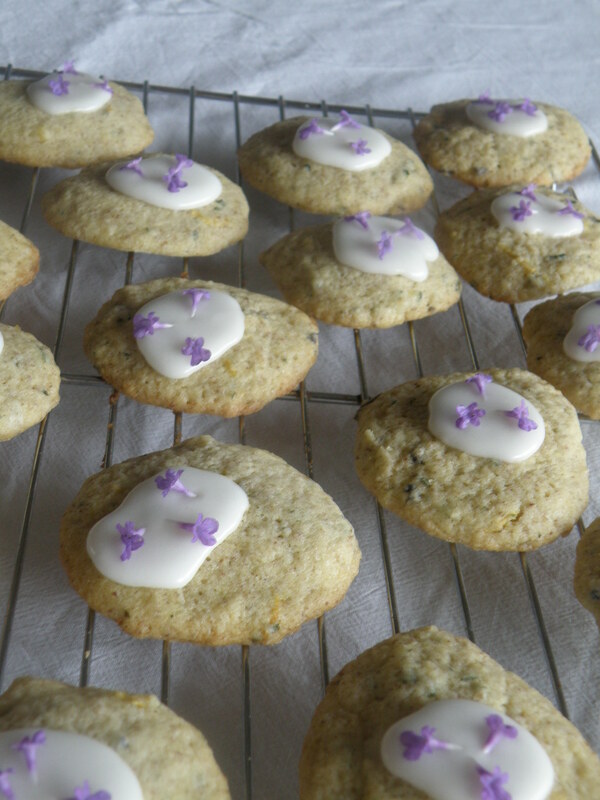 I have been looking at and trying to come up with recipes using honeysuckle and violet as well as these lovely lavender cookies. 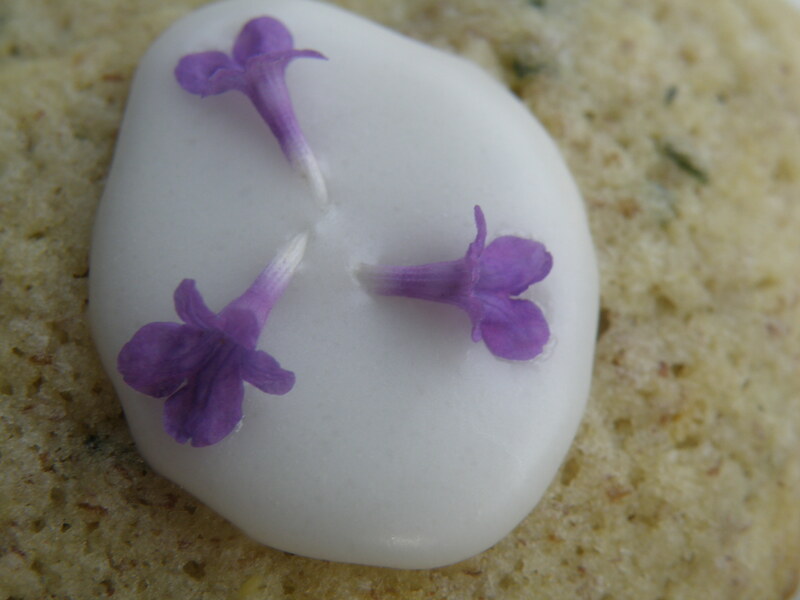 The lavender in my garden was so pretty that I felt the need to use it while the little flowers were still delicate. What surprised me the most was that both my boys loved these, I think the little bit of sharp lemon icing on top really helps balance the more perfumed taste of the lavender. Perfect for a lovely cup of tea. Cream butter and sugar, stir in the flax mixture gradually then everything else. 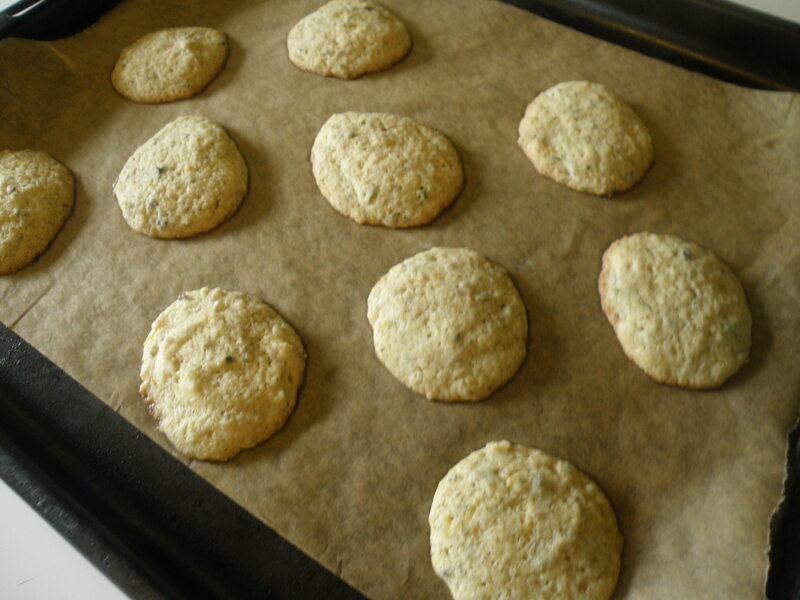 Put large teaspoonfuls onto a baking tray with baking paper. 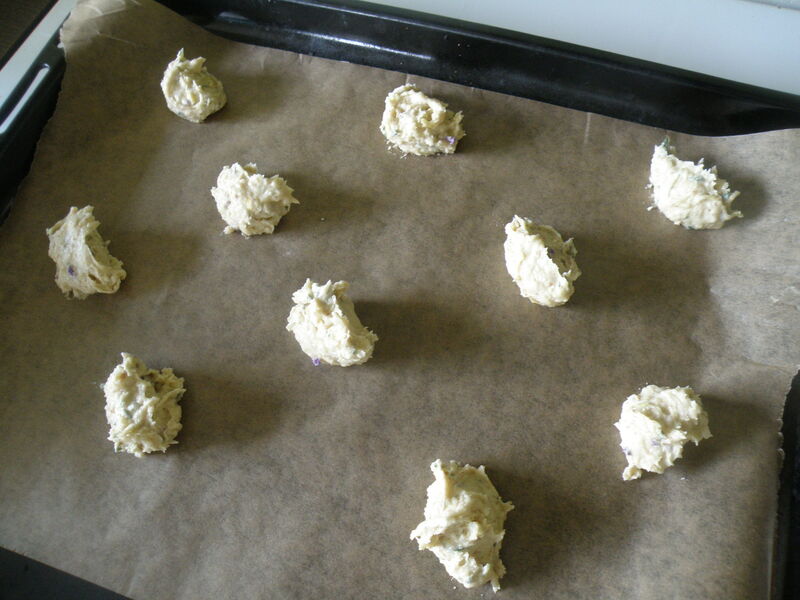 Bake for approx 10 to 15 minutes or until the edges start to turn brown, do not over cook. Leave to cool completely on a cooling rack before icing. Mix the lemon juice a tsp at a time until you reach desired consistency. 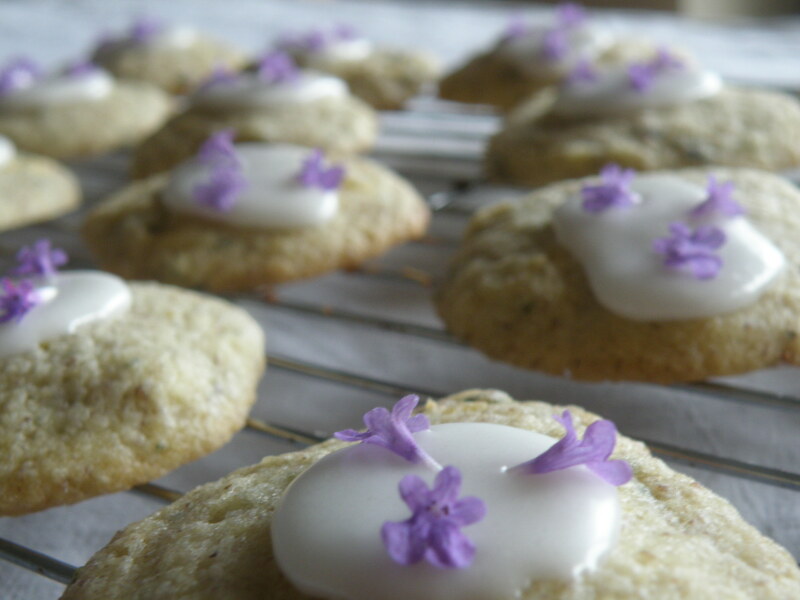 Make a small circle of icing on cookie then decorate with lavender flowers. They look lovely. I’m not a great lover of Lavender in Baking. 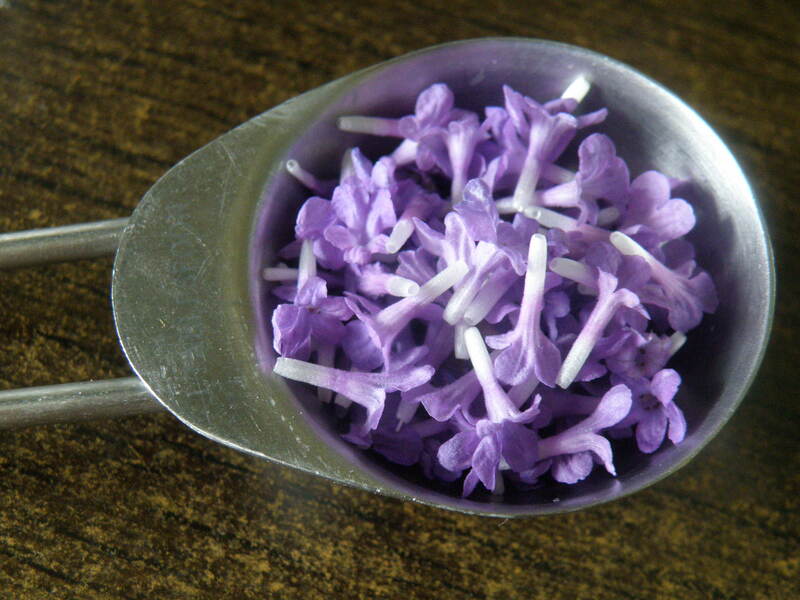 I was put off when I once bought some Lavender Jam. With every mouthful I felt I was in a bath of Lavender bubbles. thanks! 🙂 I think the lemon really helps make them not too perfumed tasting. Also I think the flavour is mellowed by the baking. I am now wondering what lavender jam is like! these look adorable! i LOVE violet flavour, hope you can figure that out. well I found a violet syrup when I was shopping last so I’m going to make cupcakes soon iced with violet icing. Smells just like parma violets! So pretty! Love the flavor combination. The look scrumptilicious! We will have a go! !